Balmoral Dubai # 4099 Inc. (“BALMORAL”), a BVI-based private equity firm, is pleased to announce the addition of a new Joint Venture in Asia with Hong Kong Capital Technology Limited (HKCT) with a total value of approximately £120 million. This joint venture is the key to our success. 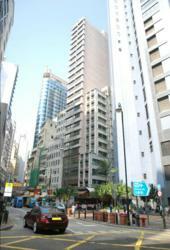 Sheung Wan, Hong Kong ‎ Balmoral Companies operate as multiple trading facilities in the British Virgin Islands (BVI), London, UK and United Arab Emirates (UAE) teaming with accredited investors worldwide. This year, Balmoral has two divisions, Renewable Energy and the newly acquired Arts & Entertainment division, with partnerships around the globe, celebrating 25 years of growth and innovation. Recently Balmoral Dubai #4099 Inc. has arranged a joint venture with Hong Kong Capital Technology (HKCT) to gain access to the Asia market in Hong Kong. HKCT will manage and organize new lines of credit from clients and private portfolios of private equity funds and direct investments. Balmoral will organize several new financial facilities and have HKCT act as an administrator to oversee the private company, financial reporting and tax functions for the group. The arrangement will immediately begin by marketing a new private equity limited partnership, with the aim of raising £200 million. All closing for deals will be in Hong Kong and will serve both divisions of Balmoral for Films and Renewable Energy projects. Rodney Kincaid, CEO of Balmoral has 27 years of private equity experience and will act as the Managing Director and operate as the Private Equity Director for HKCT. Once the JV is in place, the firm will join the British Venture Capital Association BVCA.